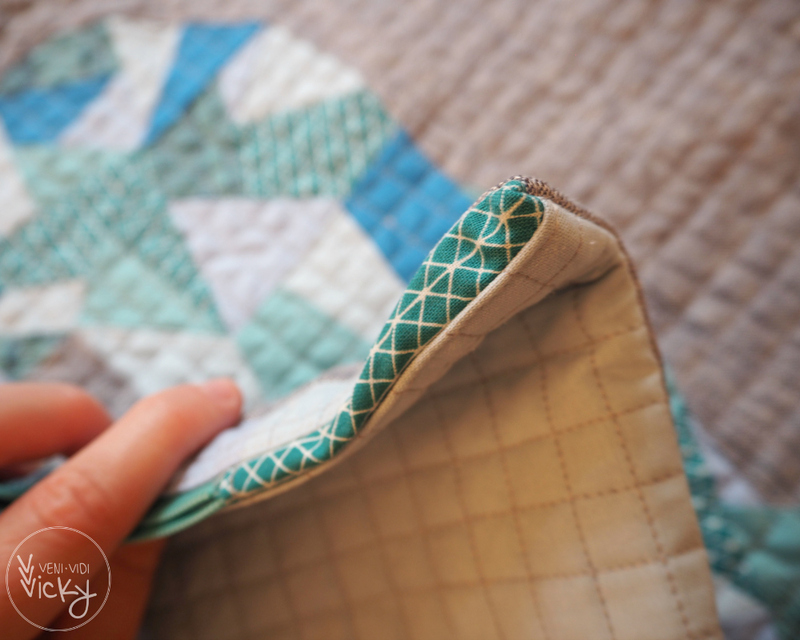 I finished a couple of cushion covers recently and I love to quilt both the front and the backside of it. 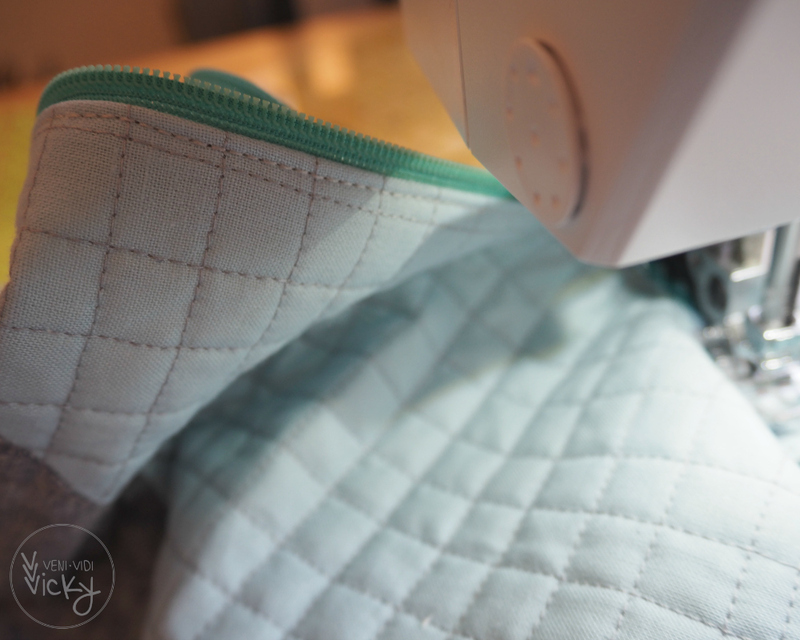 I had a hard time finding a good tutorial online on how to add a zipper to such a fully quilted pillow case. So I’m sharing the way I figured it out. 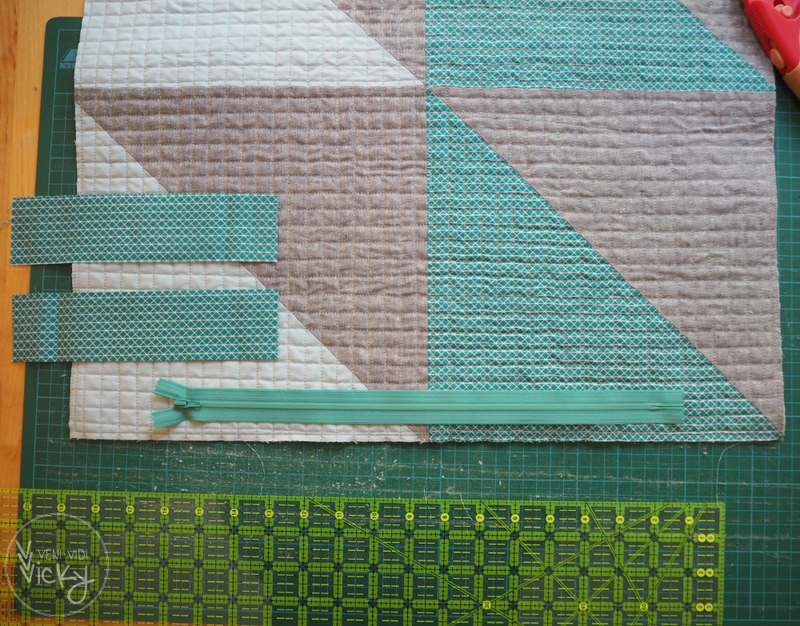 STEP 01 __trim two quilted panels to the size of your cushion filling, adding a seam allowance measuring 3/8” to each side. With a 20×20” filling i.e. your panels should measure 20 6/8” square each. 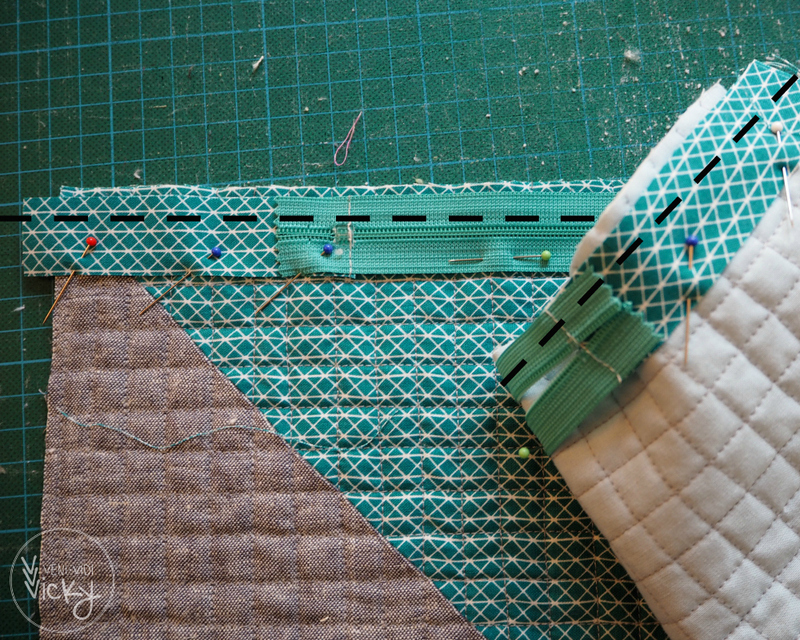 I usually sew around the trimmed panels 1/8” from the edge to keep the quilting seams secure. 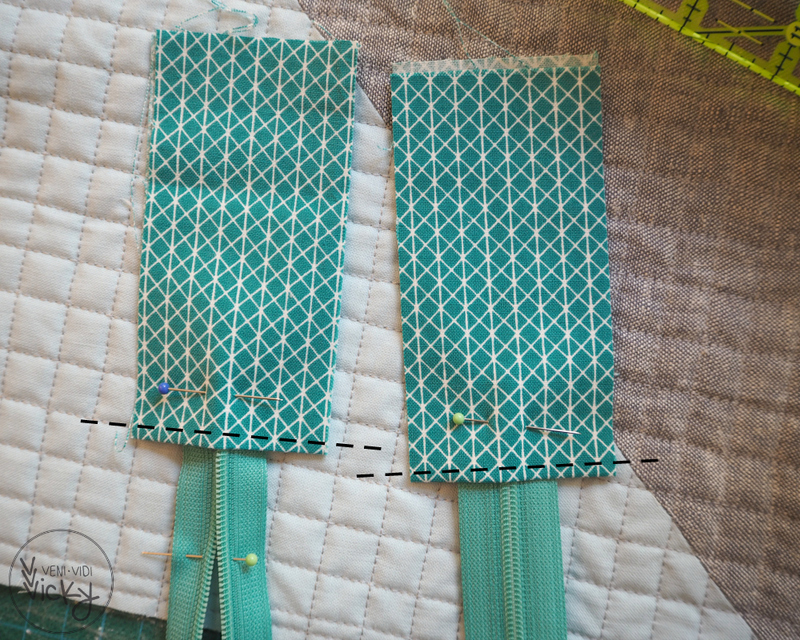 STEP 03 __ fold and press the fabric strips in half and sew the closed edges to one respective end of your zipper each. 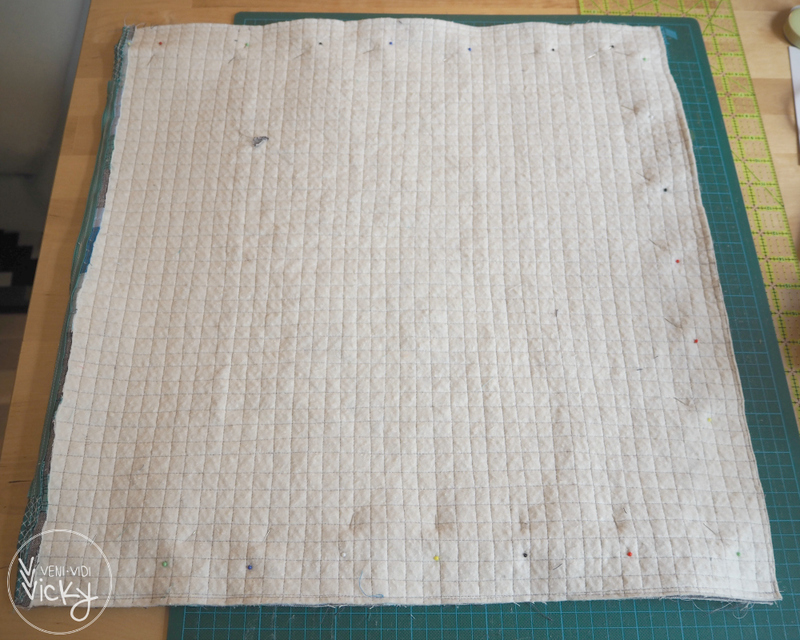 STEP 05 __ Fold the quilted panel over and press lightly. Proceed stitching in place very close to the zipper. Repeat STEP 04 and STEP 05 with the other panel for the second side of the zipper. Make sure the two parts are lined up correctly because we already trimmed them down! STEP 06 __ Fold the two sides together wrong sides facing, line the corners up and pin into place. Open the zipper halfway! Sew around leaving out the side that is closed by the zipper. 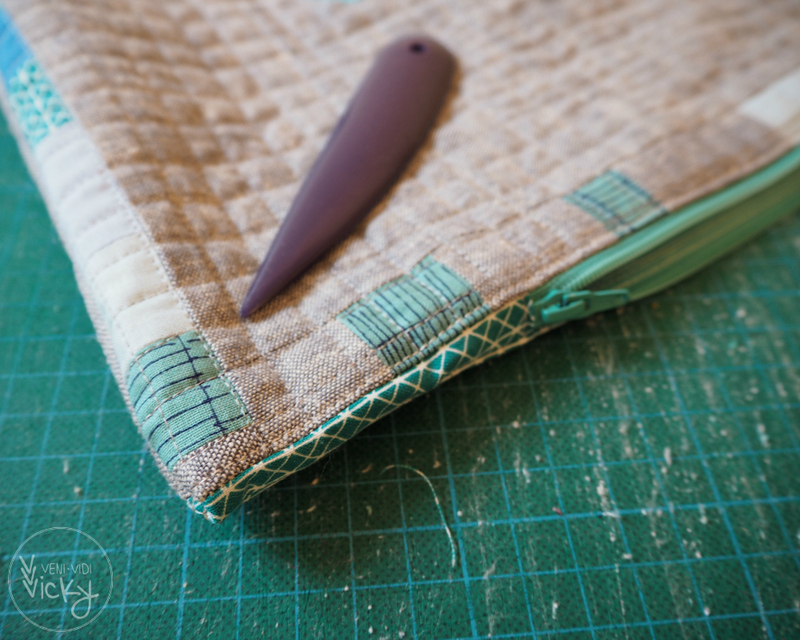 Use a 3/8” seam allowance (this is what we added to the final size before trimming). Secure with backstitches at start and end. 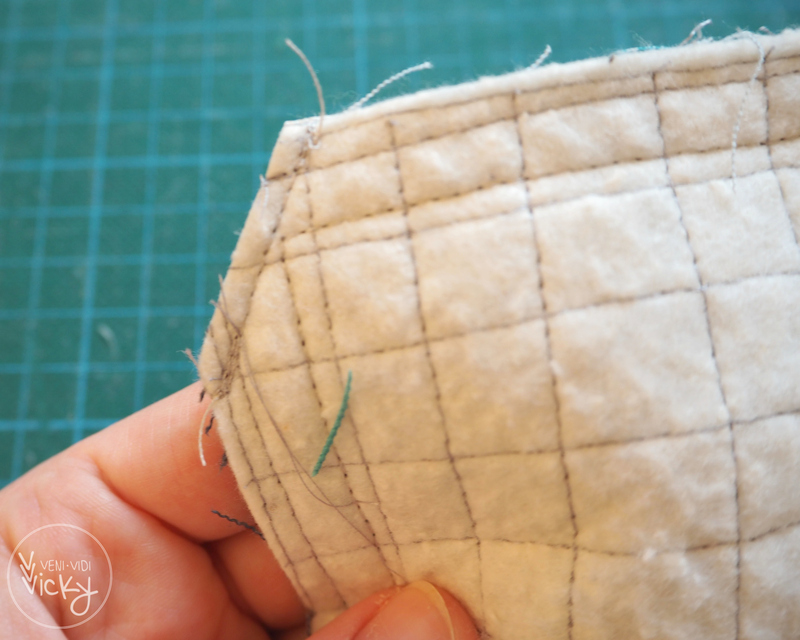 STEP 07 __ I usually sew a short diagonal seam at each corner and trim them away, this makes for neater corners after turning. 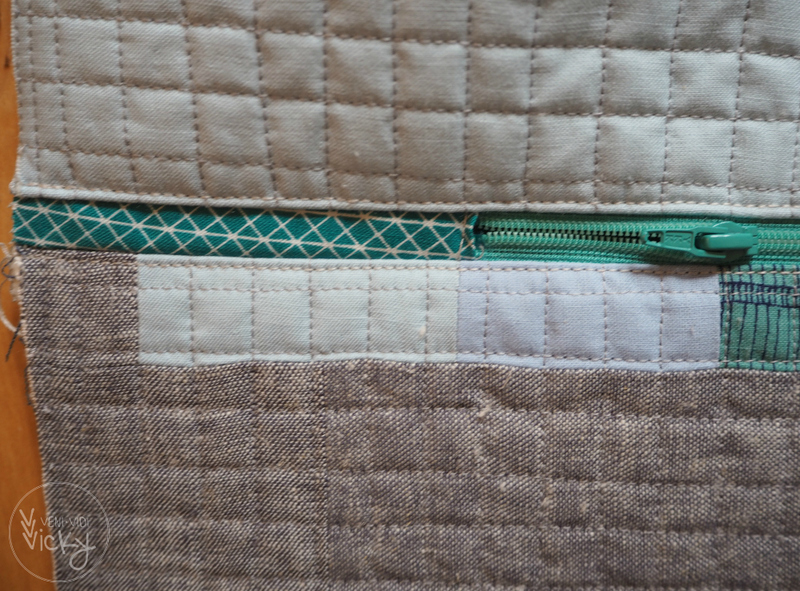 STEP 08 __ Turn the pillow case inside out (this is the part where you will understand why the zipper has to be open) Poke the corners out using a pointed tool. YOU’RE DONE! P.S. 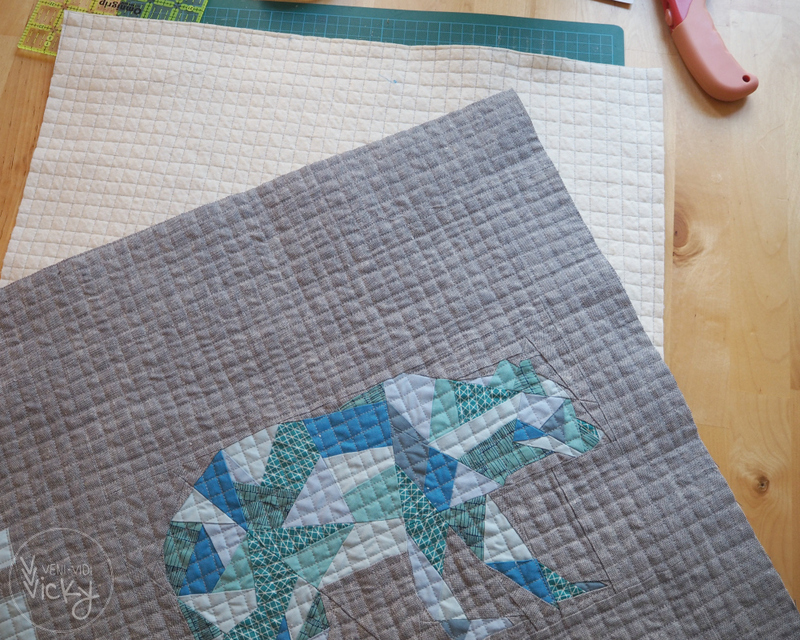 my pillow features quietplay’s geometric bear pattern (this is paper pieced). I hope I will come around to take some nicer pictures of it for a separate post. 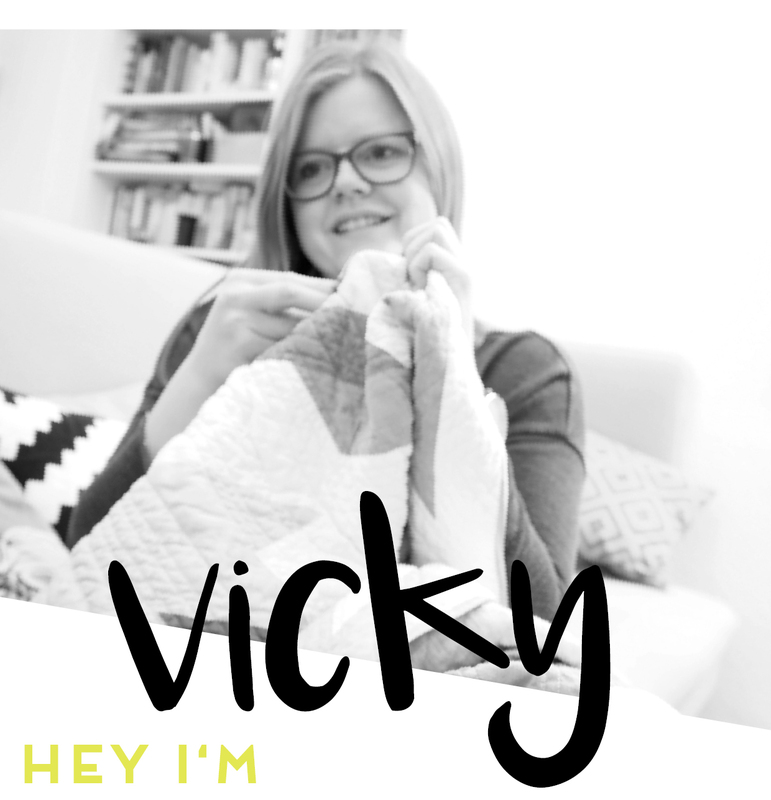 and Freebie Friday at Handmade on Tuesday. 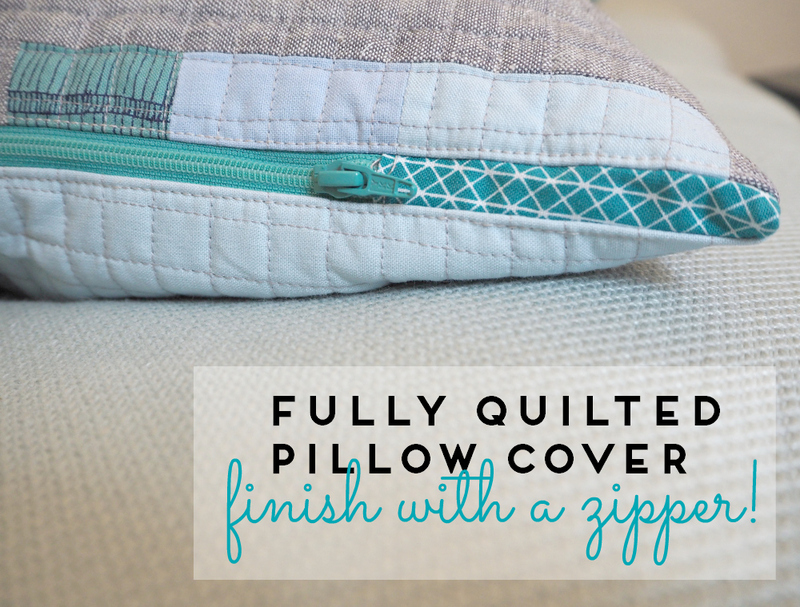 I really have to give a zippered pillow a try. Thanks for the very clear and helpful tutorial! This is awesome. Thank you so much for sharing I’m definitely saving it to my to do list. Wonderful explanation of how to get that zipper in. I’ve added it to my quilt journal. Thanks. Love this tutorial! 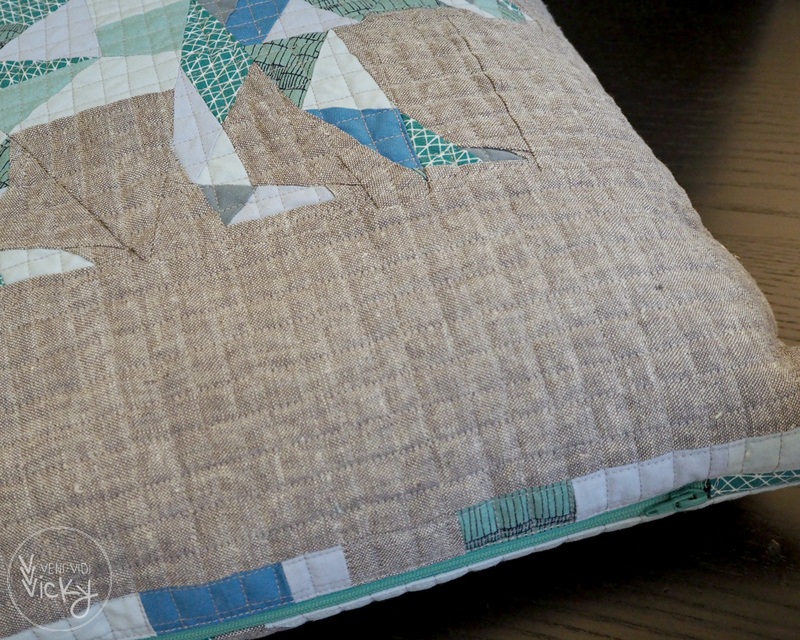 I have some couch pillows that are WIP’s and will be using this method! I Have some pillows that I need to do and I will definitely try this method. Thank you very much!